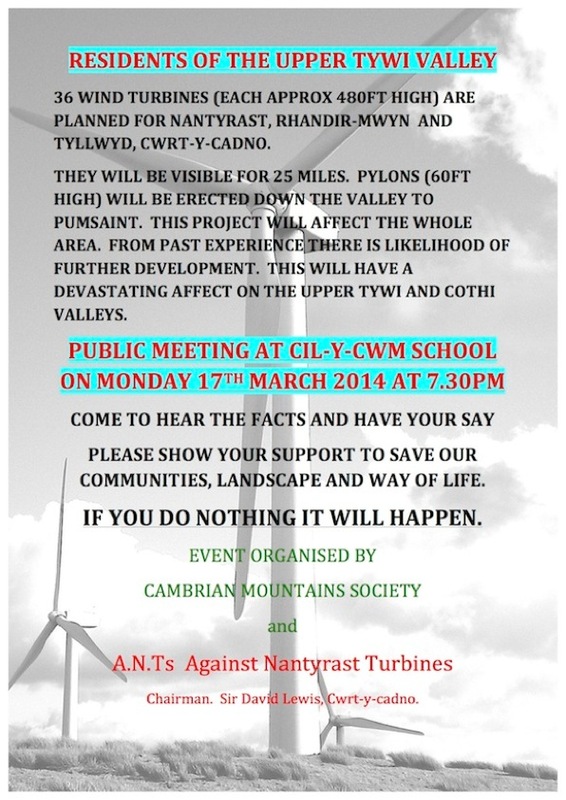 A recent proposal for 36 x 480 foot-high turbines in the area of Nantyrast and Cwrt-y-cadno, near the headwaters of the Pysgotwr and Cothi rivers, will be the subject of a Public Meeting next Monday, 17th March, at Cil-y-cwm School, starting at 7.30pm. 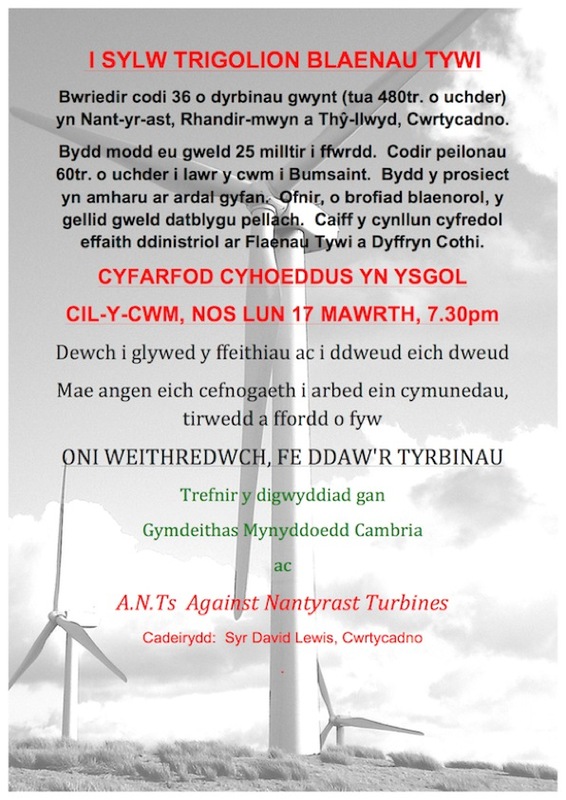 The meeting is organised jointly by the Cambrian Mountains Society and A.N.Ts (Against Nantyrast Turbines), and will be chaired by Sir David Lewis of Cwrt-y-cadno. The huge turbines would be within the core Cambrian Mountains area, and a line of 60-foot grid connection pylons would be built down the Cothi valley to Pumsaint. The development if allowed would devastate the upper Tywi and Cothi valleys. All are welcome to hear the facts, and to have their say. This entry was posted in All posts, CMS at work, Events, Wind Power. Bookmark the permalink.